Today PB celebrates it’s 15th birthday, making it, I’d suggest, just about the longest surviving major political blog in the UK. We were up and operational before Guido, Conservative Home, Labour list and many of the other major political sites that we are familiar with today. I cannot recall a site that existed before we did that is still active. When PB was launched on March 23rd 2004 Tony Blair still had another General Election to win, Michael Howard was leader of the Conservative Party and Charles Kennedy the Lib Dem leader. UKIP was starting to make rumbles but not that great. It was just about a year after the Iraq War which continued to dominate US politics. In the US George W Bush was seeking to win a second term and the Democrats were trying to choose a candidate they hoped would be able to unseat him. In the UK the big betting election was the 2004 London mayoral race when Ken Livingstone, this time as a Labour candidate and not an independent as in 2000, was seeking to retain the job. I had taken the view, wrongly as it turned out, that Ken would struggle harder to attract crossover votes from other parties as a Labour candidate rather than as an independent as in first election 4 years earlier. A few weeks before the site was launched the odds-on favourite for the WH2004 Democratic nomination, was the former governor of Vermont Howard Dean. At the time my day job was taking me to Vermont every few months and had got to know the head of a college there who knew Dean and who shared my passion for electoral analysis. He told me in unequivocal terms that Howard Dean would “blow himself up” at some point and would never make it. Given that Dean was odds-on favourite this was a good and potentially profitable insight. At the time Betfair had a forum section where people could discuss specific markets and I took a bold stand and announced that a good bet was that Dean would not win the nomination. When he did indeed “blow himself up” after failing to win the Iowa caucuses my reputation soared within that small community. A prominent Democratic contender was John Kerry while at the same time someone called Kerry was doing very well in one of the TV talent shows on which there was betting. Followers of the latter on the Betfair forums would burst into our discussions and make it extremely difficult. It was repeated interjections on the night of one of the primaries that that made me decide that what we needed was our own space away from Betfair. My son, Robert, suggested I registered the site name Politicalbetting.Com. He has continued to handle the not inconsiderable task of managing the technical side ever since. We launched on March 23rd 2004 with a site logos that had been designed by my daughter in law Lucille. Early promotion was on the Betfair forums and within a very short time we started to build an audience. Right from the start we got good response and lively discussions were sparked off. I think that we hit a chord because we were looking and speculating about political outcomes with the added dimension that we would back our views up with cash. Amongst the early participants who are still with us today were Sean Fear, David Herdson and Nick Palmer then MP for Broxtowe. At the end of 2007 I took early retirement and since then my “job” has been PB. The site has been greatly helped by a TSE, my deputy, and a team of really excellent contributors who are providing political commentary and insights not seen in the MSM. Thanks to all of them. Thanks also to all of you who visit often several time a day and take part in the discussion forums. You make the site what it is today. Thanks to Marf, who first produced a cartoon for the site in 2008, for creating the above especially for this day. One of the great traditions on PB has been the StJohn Christmas Crossword. The has been published on most Christmas days on the site since 2007. Its creator, StJohn, is one of quite a group of PBers who have been coming here almost since the site’s foundation in 2004. This is his 2018 offering. Enjoy. This morning alongside Matthew Shaddick (Shadsy) of Ladbrokes I’ll be giving evidence before the Lords Committee that’s investigating political polling particularly in view of what happened at GE17. Our part of the session is due to start at 1145. We’ve been told that the hearing will be shown live on Parliament.tv. I’m a blogger and a Tweeter and have never done anything quite like this before. To say I’m a bag of nerves is an understatement. I found myself waking in the middle of the night downloading onto my phone all the data I could possibly have to refer to. It will be good sitting alongside Matthew whom I’ve known for a long time. We last did a PR event together a year ago in Brussels for MEPs but that was all informal and certainly wasn’t being recorded. If I get asked whether I think betting odds are a better guide to political outcomes then polls I’ll give my standard response. People bet on politics to try to make a bit of money not to provide an alternative prediction model. In any case the betting on GE2017 prior to 10pm on June 8th was as accurate as the final polls. Affiliates are third-party companies who work on commission for gambling retailers by directing traffic (customers) to their sites. In the last few years the use of affiliate companies has vastly increased due to the tighter regulation and rising cost of traditional advertising. A 2015 study by the IAB (Interactive Advertising Bureau) estimates that over £16.5bn worth of sales were the result of this performance based marketing. In the online world the use of affiliate marketing is also fairly commonplace. The online casino/gambling market is highly competitive with many retailers to choose from. Affiliates are employed to increase exposure and to gain new customers. For example: if customer X wants to play online blackjack how will they choose where to play? Perhaps they might ask their Facebook friends, or click on the first link they find. Maybe just like with their holidays on Tripadvisor they will read a review. Casino reviews offer customer all the information they need about popular casino games, bonuses offered and features of any given online casino on their site. Once they are happy with their chosen online casino they will go and play online blackjack. As the review site generated that sale, they will receive payment from the online casino. This is affiliate marketing in action. So what caused Sky Bet to abandon their affiliates? Sky Bet are hoping to cease all UK affiliate activities this month. Post affiliate Sky Bet will be left in a market full of advertising restrictions. Many of these restrictions can be found in the (LLCP) license conditions and a code of practice laid out by the UKGC . While their affiliate activities have been halted some of the advertising avenues left are sponsorships, video advertisements and social media activities. All of which are heavily regulated and are mostly likely under the microscope. However not all of Sky Bet’s gaming brands will be affected by the decision most notably Oddschecker (Odds comparison site). For the affiliate companies involved with Sky Bet it will also be an unsettling time. Not only will they be saying goodbye to a lucrative revenue stream but they will also be closely monitored. Following Sky Bet’s announcement many other UK bookmakers have outlined their intentions in regards to affiliates. While no other bookmaker has stopped affiliate marketing it is certainly a watch this space situation. Last week, a couple of days before the end of my holiday, we had the sad news that one of PB’s leading posters almost since the site started, Mark Senior, has died. Over nearly a decade and a half he became a key part of the site’s unique commenting community and although I never met him I am sure that others feel like I do that we know him from our interactions over such a long period. I’ve not been able to find a picture of Mark but we do know that he was an assiduous follower of local elections, polling and a was regular contributor to this and other sites. His knowledge and memory in these area was quite extraordinary and he would never shy away from fights. He was also a very strong supporter of the Lib Dems as those who have followed discussions of PB will have been very much aware and why I have illustrated this with an appropriate picture. If anyone knows more about Mark or has a picture it would be great to hear from them. 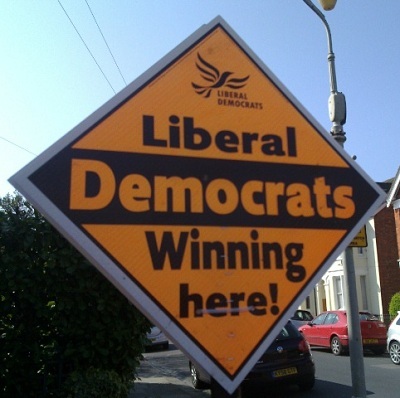 In 2005 Mark won one of the first PB competitions predicting a by-election outcome and two years later was elected LD poster of the year. I am able to ascertain that his last visit to PB was on September 1st. No David Herdson with his usual Saturday morning post this morning but instead this TV feature on PB and many of the issues we’ve been discussing on the site over the past few weeks. This interview, by Rob Double, was recorded yesterday afternoon for Core TV the new online news and politics channel. My views and assessments won’t be unfamiliar to regular PBers. This event provides an exploration of the momentous 2017 General Election from the perspectives of those most intimately involved as strategists, journalists and analysts. It will feature contributions from the campaigning, news and social media as well as polling organisations involved in the election. Participants include Ric Bailey (BBC), Jay Blumler (Univ of Leeds), Greg Cook (Labour), Ivor Gaber (Univ of Sussex), Gaby Hinsliff (The Observer), Michael Jermey (ITV), Dennis Kavanagh (Univ of Liverpool and co-author, The British General Election of 2017), Damian Lyons Lowe (Survation), Keiran Pedley (GfK), Gideon Skinner (Ipsos MORI), as well as myself. The event takes place in Loughborough Univeristy’s London campus on the Olympic park. Full details here. Several people have been asking if Friday’s PB gathering is still going to take place. The answer is yes. It will start at the Lord Raglan pub, 61 St Martins le Grand, St Pauls EC1A 4ER from 6.30pm. An area downstairs called the Fireplace has been booked. As well as being close to St Paul’s the Lord Raglan is only minutes walk away from Farringdon and City Thameslink stations with their direct links to Gatwick and Luton airports, Brighton and Bedford. Everybody welcome whether PB posters or not. Looking forward to seeing faces old and new on Friday.